In a 2017 study conducted by The Williams Institute of UCLA, 27% of youth reported being identified as gender nonconforming. 1.4 million Americans identify as transgender; 150,000 are youth ages 13-17. 70% of transgender people report harassment in public restrooms and changing rooms; 9% report physical attacks. If a transgender or gender diverse person has not used your changing room facilities yet, it is a mathematical certainty that one soon will. Take an active part in respecting all members of your community. If single stall, unisex changing facilities are not available, where do transgender and gender diverse people safely and comfortably change clothes and shower? What are best practices to provide excellent customer service while keeping everybody safe? How can you find facts, humanity, and comfort around a topic that is highly politicized and very often misrepresented. Scott Turner Schofield, a leading expert on gender diversity issues, created this e-course to train aquatics and recreation staff for the City of Santa Monica Department of Cultural Affairs, which houses its Department of Recreations and the Annenberg Beach House. How to respect the differences and meet the needs of transgender and gender diverse members of the public. Each video segment is followed by a quiz for comprehension and retention. Once this course is completed, the student receives a Certificate of Completion, to be kept in their HR file to demonstrate cultural competency and sensitivity training. Is this course right for you and your staff? Introduction: Learn the background to the social issues that necessitate this eLearning course. Trans 101: The very basics of commonly misunderstood or misrepresented ideas about the transgender community. Terminology: These terms have evolved very quickly; learn the most up to date, respectful words to address and discuss transgender issues. 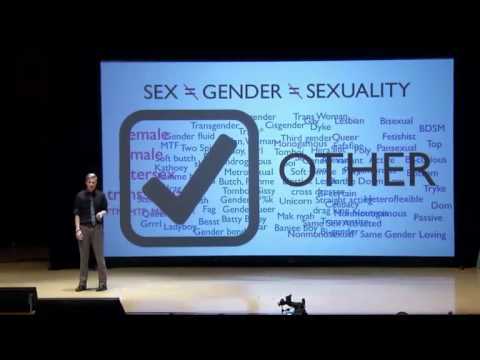 Gender: A simple breakdown of a complex topic. Gender diversity in the changing room: A welcoming introduction on a tense issue. Respecting gender diversity: Common sense best practices to help you respect everybody. Respecting privacy: Clear guidance that not only assures respect but could also save lives, around a difficult and unintuitive topic. Harassment: How to spot and address harassment. Transgender and non-binary in the showers: Clarity and calm education through the anxiety of this subject. Doing the changing room right: Clear guidelines for changing room usage by people of every gender. Prevention: Best practices to prevent problems in gender diverse changing rooms and other public spaces. A: That's up to you! Learn at your own pace, in your own time. Q: What if I want to go deeper into these issues and learn more? Q: Do you offer personal coaching? A: Yes! We coach individuals and conduct trainings in classrooms and workplaces. Please email contact@speakingoftransgender.com for more info! Q: I don't think I know any transgender people, and I don't think they use my facility. Should I still take this course? A: 27% of youth reported being identified as gender nonconforming, according to a 2017 study by The Williams Institute of UCLA — so it's highly likely there are transgender and non-binary people in your facility everyday, and if not, then it's a mathematical certainty that there soon will be! Q: Who are the models in your videos? Are they transgender people? A: We cast from our beautifully gender diverse community here in Los Angeles. Our actors' voices and experiences helped to create the authentic feel of the videos. Q: I work at a large company and I would like all of our employees to be certified. Do you offer company discounts? A: Yes! We offer customized solutions for companies of all sizes, like a 20% discount per course/certification for groups of 50 or more, and a 50% discount for groups of 100-250. For larger companies, please send us an email at contact@speakingoftransgender.com. Q: Why are you qualified to run this course and certification? A: Our founder, Scott Turner Schofield, has 16+ years of experience working in educational and business settings as a trainer in transgender cultural competency and diversity and inclusion.